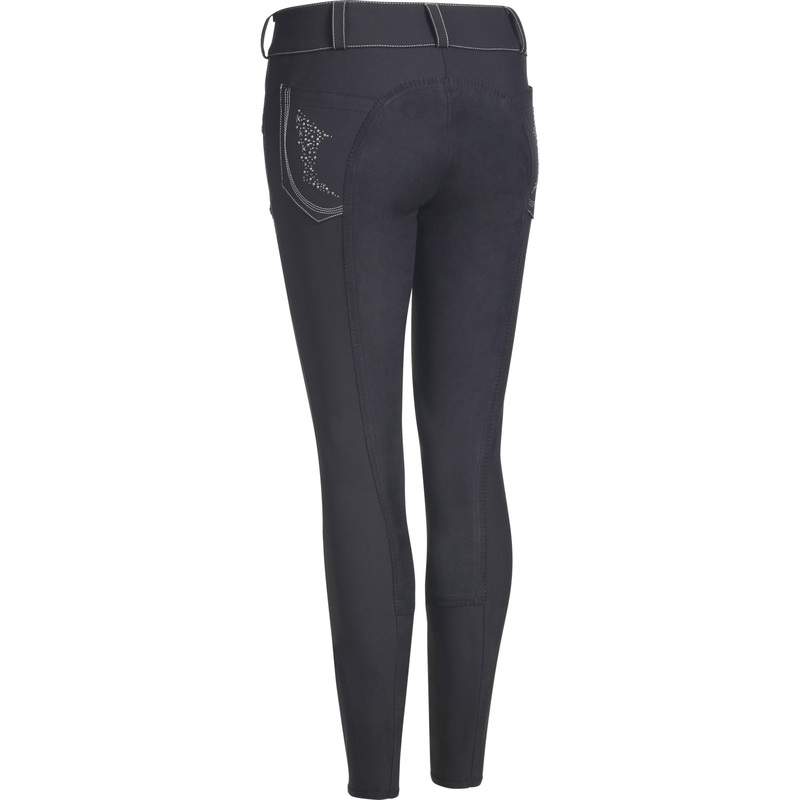 Our new Graciella breeches certainly chatch the eye. Contrast stitching and rivets on the front and back pockets are expressive but tastefully composed. If not you afraid to be trendy reach for the Graciella in absolutely new blackberry color. For the ladies who like certain colors we have Graciella in black, navy blue, brown and grays. As usual, available in normal and with contrasting full seat version..